If you’ve ever been a spectator at a boxing match, you’ll have witnessed how potent boxers are at making fast and explosive movements. 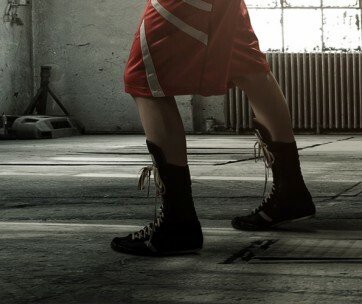 Standing steadfast in their boxing shoes, a professional boxer can punch and evade an opponent’s punches anywhere from 8 to 15 rounds in that bout. To perform with such speed and agility, a combination of both resistance and endurance training is needed. This helps to ensure that they have the strength and conditioning required to win, or at the very least, give the punching bag a good knocking! Whether you’re training to become a professional boxer or just want to be fit and in ultimate shape, the basic principles of fitness remain the same. If you want to improve your strength, then weightlifting is the name of the game. If you want to improve your conditioning, then cardiovascular exercises are extremely important. Body conditioning involves high energy and high impact workouts that typically include a combination of aerobics (cardiovascular exercises) and toning. 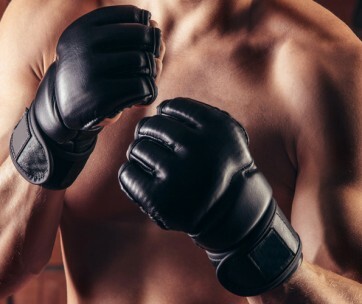 While boxing gloves protect your fists, your muscles, heart, and lungs need to be conditioned so that they can handle the levels of endurance that are required to perform well in matches or to partake in strenuous fitness regimens. Why Is Conditioning Important For Boxing? When it comes to high-impact sports, mouthguards might keep your teeth intact – but what’s got your back when it comes to your muscles? By conditioning your muscles, you can prepare them to handle the repeated stress of a fight. You need solid legs to navigate around the ring. Your core needs to be strong enough to generate power. You need deftly-conditioned shoulders and arms to roll out the punches with force and speed. Each and every muscle in your body needs to be ultimately-conditioned or else you’ll experience muscle fatigue and be more susceptible to injuries. What Is The Difference Between Strength Training And Conditioning? The difference between boxing strength and conditioning training can essentially be compared with the difference between quality and quantity. Strength training makes your muscles stronger and will give you the stamina and energy you need to move faster. 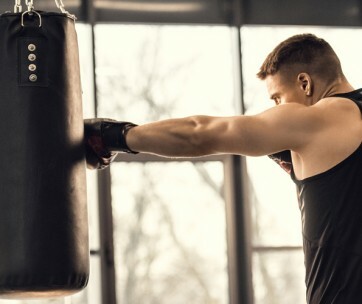 When it comes to boxing, strength training is what gives you the ability to make more rapid and explosive movements, increasing the force behind your punch as a result. Conditioning, on the other hand, is what determines how long you’ll be able to keep moving for before your body gets too exhausted to make the necessary movements. Training in both manners is of the utmost importance and is one of the most valuable boxing tips we can give you. How Can You Use Conditioning To Become A Better Boxer? Apart from conditioning your muscles, you also need to condition your mind. This means that you need to train your body and your mind to work together for the best results. From the point where you were still donning kids boxing gloves to the moment you enter the ring for your first professional match, becoming a boxer is a process that requires a dedicated mindset and a body built for throwing (and taking) punches. Conditioning your muscles will give you the endurance levels that you need to bite through stress and pressure put on your body and brain conditioning gives you the mental power to stay focused and in tune with your body’s movements. By implementing various mental training techniques, you can enhance your ability to stay calm and loose while the adrenalin is pumping. You can also learn how to keep your confidence intact – a key component for any player. Which Is More Important, Mental or Physical Conditioning? This is a longstanding debate and essentially, the one cannot do without the other. This makes both types of conditioning equally important. Some might argue, however, that you need to be in the right might before you can focus on any other training efforts. This, therefore, puts mental conditioning ahead of physical training. You can get stronger and faster with physical conditioning, but you can only improve on all of these things with psychological conditioning. Strength and conditioning training are essential components of any sport and fitness regimen, not just boxing. If you want to improve how you perform in the ring, on the field or even in the water, then you need to condition every aspect of your life to do so. Structured conditioning workouts have been specifically designed to develop muscular endurance, aerobic and anaerobic conditioning. By developing these physical skills through a workout program supplied by a professional coach or trainer, you will enhance your performance while reducing the potential for injuries.